Are you a fan of the song “This is Amazing Grace” and the latest hit “Your Love Awakens me”? It is Phil Wickham‘s gifted songwriting and hip voice behind these and other great songs, including his newest album released this year, “Children of God”! Wickham’s music has a unique sound like nothing I’ve heard on Christian radio, so I was excited for the chance to review his latest! I mean, if his voice sliding up the notes of “the grave is beaten, Love has won” doesn’t fill your heart with praise, NOTHING will!! I have to say that I really love Phil’s voice. It is unique and modern and young. His music is upbeat and cool. And the songs on this album are easy and catchy, a great soundtrack for a sunny day trip! As a cool backstory to this album, in 2014, Phil was unsure he would ever sing again when doctors discovered a polyp on his vocal cord. Through this time of uncertainty, he felt God reassure him that his identity was not in what he did, but whose he was–thus inspired the title of his album. The title song is really gripping too! Isn’t it great to know we all struggle with identity, but yet God still knows us as His? His creation. His masterpiece. His children. His to hold, protect, love and keep. Forever. And to that I say, PRAISE GOD FROM WHOM ALL BLESSINGS FLOOOOOOOW….. So thankful this talented artist was able to continue his career as a songwriter and worship leader. Please consider purchasing this great CD! Links below!! It’s difficult to imagine a world where one loses his life for his faith. But we know it exists. And we are reminded of it with headlines that feel too medieval to be true. Of course that world and the everyday world of the average American Christian don’t often rub up against one another. The irony of this was not lost on me as I drove my son home from gymnastics and glanced at this book, Bearing Witness, perched on a stack of Sunday School papers and fast food wrappers on the passenger seat of my mini-van. I mean how can we possibly understand such sacrifice in a culture so intent on putting leisure, pleasure and personal happiness above everything? So I opened the first pages of this book, not knowing what sort of read it would be. Or if it would feel too foreign or frightening. Bearing Witness: Stories of Martyrdom and Costly Discipleship presents interesting stories that certainly offer perspective on our first-world church problems. And I think it helps so much to remember there are Christians who have suffered throughout history. I feel it is also important to note that Bearing Witness is a collaboration of stories about Anabaptists, so non-violence is a central theme. I had some rather strong reactions to certain views taken by the author(s) or by the individuals spotlighted, which may vary, of course, from reader to reader. But if you are Anabaptist, you may find this book particularly inspiring! On the first page of each chapter, a sketch of a globe presents you with the setting for each story. It is always eye-opening to see how many tyrannical governments and people have existed over the years and across the world. It was a small visual reminder to appreciate the freedom to worship I can so often take for granted in my own country. This book reminded me people still can and do suffer for believing and preaching the Gospel. And, really, our compassion should extend to all those who suffer for their beliefs as we are called to both awareness and action on their behalf. We are also called to preach the Gospel to the ends of the earth, no matter the cause. ALWAYS easier said than done. Accepting rejection. Hmmmmmm. Now, that’s a thought. Because rejection is going to happen. And we can’t force inclusion…as much as the hounds of political correctness try. So how do we accept it? The hard part about rejection is that when we are standing on the outside looking in…it can bring up that negative narrative in our minds that we aren’t good enough. And such a narrative may be very rehearsed for us, because we have carried it around our entire lives, like a mixed tape from an old boyfriend we just can’t seem to throw away. A dear friend reminded me this week that feelings of unworthiness and rejection can become so familiar they bear a strange comfort for us. We can use them as a security blanket when we want to lick our wounds. I’ve shed my share of tears over feeling rejected, but I’m also learning some powerful things about it. Because if I stop feeling sorry for myself long enough to learn something, I find that being rejected can sharpen instead of cut me. First, it helps to remember that Jesus was rejected. As that same dear friend reminded me the other day, Jesus has incredible compassion for my hurt feelings. He loves me and embraces me. But more than that, he understands. Because he was rejected, not just at the cross, but throughout his short life on earth. Why is “being accepted” or “included” so important to us? (This may apply generally or it may apply to a very specific situation.) Well, we’re human. So there’s that. But could it also be that we are placing acceptance and inclusion above other things that matter more? For example, I am experiencing an area of rejection in my life from people I have always sought to please. BUT, part of that rejection comes as a result of choosing to live independently of their approval. It stings when I feel they don’t understand or when I am on the outside looking in, but I have made the conscious decision to please the Lord first. Sometimes the desire for approval pulls us into all manner of dysfunction, because we would still rather do the wrong thing than feel the sting of exclusion. But this will almost always result in compromises we regret later. Is it a relationship worth mourning? As children and teenagers, inclusion feels necessary at all costs, because we think being on the outside says something about us. But as adults, we begin to understand that rejection does not need to be personal. In fact, it often says more about the other person than it does about us. Sometimes we are so busy wondering why someone is rejecting us, we don’t stop and consider whether we should really care. I mean, why mourn a relationship with someone who doesn’t accept you or appreciate you for who you are? Have we spent too long nursing our hurt feelings? I know the sting of rejection. And I’m not saying those feelings aren’t real, but at what point will we decide to stop giving them so much time and energy? It is difficult, because feelings surface, and that safety blanket is always within arms reach. Is inclusiveness always realistic or necessary? All-inclusiveness works well on a cruise. But we can’t always expect people to be all-inclusive. Besides, not all exclusivity is unjust or harmful. Countries, governments, cultures, families and close friendships all have aspects of exclusivity that are healthy for survival. Our marriages, for example, are pretty exclusive. And we consider that a good thing, because it is! Don’t misunderstand me. I believe, especially as Christians, we should not be exclusive in our dealings with others. God warns us against favoritism (see yet another future blog post). A church body (which is made up of individuals!) should be warm and welcoming to all types and not exclusive in their fellowship. BUT, we cannot force inclusiveness. We can only encourage it by word and example. 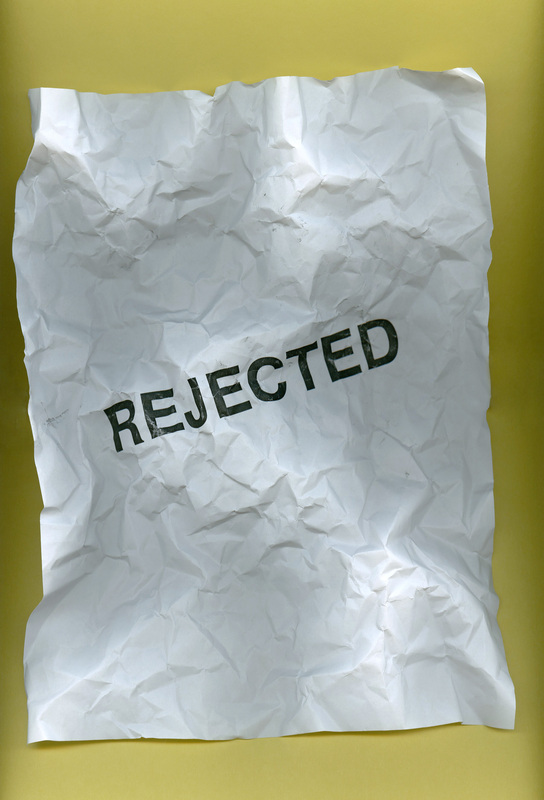 But then there are still those deep, heartbreaking kinds of rejection that should NEVER happen. And yet they do. Because we live in a fallen world. Many people were driven to the feet of Jesus as the result of devastating personal rejection. The woman caught in adultery. The demon-possessed man. The little children the disciples hushed and scolded. And Jesus was a the perfect example of loving inclusiveness. I think it’s important to note, Jesus had a band of twelve close friends, so from his example we learn that the opposite of exclusivity is NOT the elimination of close relationships. It’s forging those close relationships while also making ourselves available to others. Jesus engaged and accepted anyone of any social or economic status, gender, age or situation. And his inclusiveness extended to the cross where he died for ALL…even the worst of sinners. Feeling rejection on whatever scale can begin a beautiful process of learning how to courageously and compassionately model God’s brand of inclusiveness to others. When we stop nursing our own hurt feelings, throw away the safety blanket of unworthiness and allow Jesus to teach us the better way of dealing with our pain, we can find freedom and wholeness. We can begin to accept that we won’t always be accepted! And rejection loses its once powerful grip on us. For Part II of this series: Go here! I’m not a big fan of Mother’s Day, but I am also not cynical (or selfless) enough to expect nothing from it. That’s right, I want my big Hallmark holiday, and I want it in a BIG way. But like Valentine’s Day, the day dedicated to acknowledging motherly devotion is completely ill-conceived from the beginning. And I will tell you why. As liberated as we like to think we are, just who is it that spearheads nearly all holiday festivities? Women, more specifically, mothers. So Mother’s Day is like expecting a great Christmas after telling Santa and all his elves to go home, kick off their shoes and relax. IT SIMPLY DOESN’T WORK. My mother still makes me feel loved on special days, but now that I’m a mother – a shift has occurred. I am setting the tone for my own family’s holidays. I am the one without the days off. It can be, if not exhausting, then completely terrifying, especially considering all my mother has been to me over the years. I have some pretty big shoes to fill. I remember, in a middle school essay, praising her for being selfless “all the time.” One peer edit in incredulous purple ink questioned, “Really, ALL the time?! ?” Indignation rose within me, but I forced myself to acknowledge the reality – no one is selfless ALL the time. Most people aren’t selfless MOST of the time. But, my mother isn’t like most people. She is pretty darn selfless. Could I be as selfless as her? I certainly wasn’t feeling selfless on Mother’s Day. I was thinking, This is MY day. Make is special, or die trying! I mean, if I am honest, I want to be recognized and appreciated. I desire validation…and regularly. But the thing about motherhood is we are not here to be recognized or be lifted on shoulders and carried through the streets with cheers. We are here to serve and be worn to the bone. Mothers do things so many things so many times over that go largely unnoticed. It’s the part of motherhood that scares me the most – the constant giving and serving – without applause and sometimes without a break. Before my son’s second birthday party, my mom washed my floors on her hands and knees. How many times had my mother washed floors over the years, and I never noticed…even on Mother’s Day? But that day, I noticed. Because I was pouring myself out in the same way for my son – cleaning the house, decorating, wrapping gifts, making party favors, baking the cake. I was pouring myself out as my mother did for me. It is the truest devotion, isn’t it? The willingness to be poured out again and again until you are gone. I realize people caution, Make time for yourself. Take care of you. There is truth to that. But when you are a parent, you realize a perfect balance is impossible. And while you are unprepared for the challenge ahead, you are equally unprepared for the desire within you to give of yourself OR the joy that comes from loving your child like Christ loved (still does love) you. Jesus said, “Greater love has no one than this: to lay down one’s life for one’s friend.” (John 15:13) Or wash their floors. Or make their food every day, three times a day. Or wipe their bottoms. Or kiss their boo-boos. Or read them the same book a thousand times. Or wake with them at night. Or hold them when they’re sick or sad. Or listen to them talk when you’d rather have quiet. There’s more than one way to lay down your life. As a mother, there are probably a million ways. Like my mother before me, I am walking the road Jesus did. I am placing one foot in front of the other. And I am surrendering a little more, every day, my need for applause. Motherhood can be singularly isolating. Sure, there are play groups, play dates, church, preschool and gymnastic classes. But conversation with other mothers is so often reduced to whatever chatter prevails over the noisy din of children at play – and that ain’t much. So much of what we say or want to say gets interrupted, paused, forgotten – as we pretend to joyously partake of plastic vegetables, sip air out of cracked tea cups, facilitate snack time and encourage sharing, then stuff cranky children in car seats, exchanging hasty plans for our next get-together as we pull away. I’ve yelled more things out a car window these days than I care to admit. Gone are the days of long, penetrating conversations while slowly sipping lattes. Gone are the questions like “What is my purpose in this world?” “What is going on in your life?” “How are you…really?” I miss it…some days I miss it desperately. Today, much of my deeper dialogue with friends must occur over the phone, because we can clean or prep dinner while we talk. 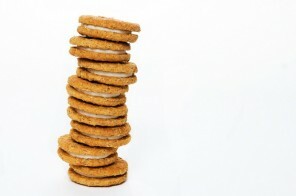 Multitasking diminishes some of the guilt brought on by trying to fill one’s own relational needs. Yet, phone conversations are still wrought with frequent interruptions as we take turns responding to needy children (made instantly needier by the mere fact we are on the phone). I enjoy all the opportunities to mix and mingle motherhood provides. And I am thankful for this season of my life. The community of moms is vast, varied, interesting and held together by the strand of procreation and the act of raising children into responsible adults (an altogether complex undertaking made up of a million simpler, sometimes nearly mind-numbing, tasks). There are days, in the center of some conversation about meal preparation or sleep schedules, I’ve suddenly had enough. I don’t want to discuss the best sippy cups on the market or what Johnny had for lunch that gave him loose stool. I want an uninterrupted exchange of ideas and thoughts and feelings that has absolutely NOTHING to do with breastfeeding, potty training or how to make gluten-free granola. Other days, we are stuck at home due to weather or illness. 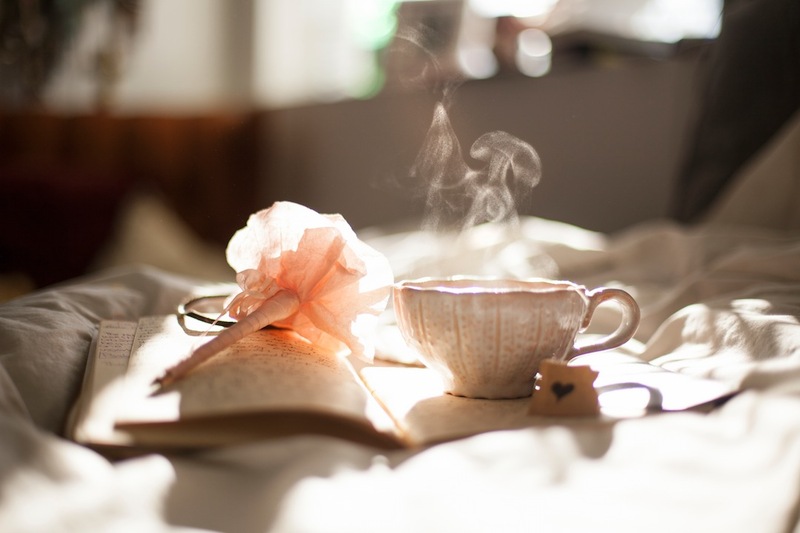 I am pouring over dishes when I’d rather be pouring my heart out over that latte…with no time limit and no other things on my to-do list. I feel lonelier than usual. But relationships are not simply about what we get out of them. Relationships are what we give. The mommy dialogue, the one where we exchange recipes and ideas, is necessary and helpful. I would be foolish in overlooking the benefits of community with such amazing and incredibly diverse women. It’s good to talk about finger foods and pregnant celebrities. It’s also good to build and nurture relationships that feed deeper parts of ourselves that still exist, despite the repetitive nature of our present everyday lives. We honor this need by first acknowledging it and then by fostering close, authentic relationships with other women — not just with women we’ve always known, but with new friends. We cultivate these friendships by looking past the busy, self-sufficient veneer and asking the harder questions…and by setting the example through our own authenticity. I can be the first to offer the truth about myself – that I don’t have it all together, that I sometimes miss the things I used to do. Or I can share what I am passionate about beyond the four corners of my child’s universe. Reading His Word also helps to provide spiritual and intellectual food when we feel starved for deeper meaning. Scripture reminds me of the bigger picture and emboldens me to reach outside my comfort zone. Chances are, there are other mothers who feel like I do. Maybe I can minister to them in their loneliness. Every person we meet, after all, is an opportunity to see God at a different angle. When we begin to see everyone this way, there is no opportunity, no conversation too small. And our focus is no longer on our own loneliness anymore. In this season of busy chaos, we will sometimes still feel alone. But God knows. He cares. And He’s on it. In the meantime, keep having interrupted conversations over the din of noisy children. Some day, we will miss that too. Here is my confession in black and white. I am a “hot mess.” It is a term used frequently by a close friend of mine, and I love it so much I have adopted it as part of my own vernacular. Sadly, I find myself using it the most when describing, you guessed it, myself. What exactly is a “hot mess,” you might ask? Well, the Urban Dictionary describes it first as “a person who is a handful, a piece of work, a colorful character.” My definition of the phrase is slightly different – as definitions of this kind can be manipulated to serve ones own purpose. My own definition describes my perpetual state of being as one that neither looks or feels in control…of anything…ever…and thus says and does things that others find strange, embarrassing or even irritating. Someone who doesn’t truly fit into our commercialized culture that insists on outward perfection. Someone who can’t seem to get her poo-poo together. I realize that I am a round peg in a world (or culture) of square ones. I go punching into life with a lot of “ouches” and “ughs.” Some people find it endearing. A lot of other people find it annoying. I have tried to become more organized, punctual, eloquent and graceful – not all at the same time, of course. (Baby steps, people!) But sometimes it seems like the more I try, the more I frustrate myself with a growing list of perceived failures. I want to be thankful for all the individuals in the universe who, at least on the surface, don’t appear to suffer from this state of being. Most of them are Type A personalities who find a way to manage their lives, so that they are not, well, messy. I wish I didn’t drive them all crazy. But sometimes, I secretly like that I do, because after a while, they really grate on me too. Why are they so much better, because they were born with the organizing gene? Maybe, because the world doesn’t celebrate differences like it should. And maybe our culture likes the Martha Stewart types. Everywhere I turn, a magazine, newspaper or talk show offers me new rules for living a Type A life as if we were all meant to put down roots there. The world seems full of tips for color coordinating your sock drawer, hyper-alphabetizing (I made that word up) your media collection, labeling your kitchen utensils and clutter-proofing your house. What if I believe life wasn’t meant to be as tidy as a Lysol commercial, even if it were possible?! What if that isn’t what turns me on? I know some people love doing these things. Great, clean and organize all you want, but I don’t want to adopt all your rules for living. I can’t. And if I did, I would probably break them in, like, two minutes. This is simply the tip of the iceberg for us hot messes. There are many definitions of this state of being for which I would think every one of us could relate (even Martha Stewart). But today, I wish to celebrate all the hot messes, like me, who couldn’t lead Stepford lives if their very lives (and those of their family members) depended on it. Tip #1: There is no reason to color coordinate anything except what you are wearing right now (and even then, some days, that is also optional). Tip #2: If you show up late and feeling like a hurricane entering some social gathering, smile and be glad you made it at all. There are worse things in the world – like an actual hurricane. Tip #3: In the olden’ days, most people had dirt floors. There are several morals to this story, but I will leave you with this one for now: If your tiled floor doesn’t sparkle constantly, you will somehow survive. And survive, you do. Tip #4: When you don’t want to do a full clean, do a half clean. By this, I mean the bare minimum. That’s right, wipe it down with a Clorox wipe, and be done with it. And don’t tell me you “just can’t stop at that” – get off your high cleaning pedestal – you have been feeding yourself that lie for years until you started believing it was true. Too many Lysol commercials – I am cutting you off! Tip #5: (And this is a good one) A little clutter makes mean people judge you and nice people relax a little. Who would you rather have visit longer? The list continues (stay tuned for Part II), but it is past eleven o’clock and I have Zumba tomorrow morning (I wrote this last night.) I will leave you with this parting thought before I go to sleep without washing my face. I may not be able to color-coordinate and uber-organize my life like Martha Stewart. But, may I remind you of something it appears many people have forgotten…Girlfriend went to jail! And somehow I bet that, in the “Slammer,” her closet-organizing skills turned out to be completely useless. Just saying. 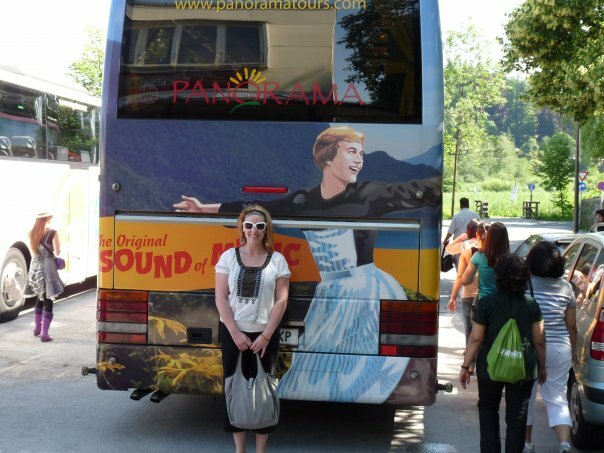 Me in front of the "Sound of Music" bus - Austria, 2009. Two words - Freakishly Excited. A few years ago, I was laid off from my account management position at a regional marketing agency. It was no surprise, really. The economy had tanked. Our revolving door of clients made each new account feel more and more like a professional one night stand. And those of us left, sat hunched over our desks, popping TUMS and trying not to draw attention to the growing target on our backs. Quite dismal indeed! Cue “The Sound of Music” Scene 1. Julie Andrews, as Maria, is whimsically twirling about the Austrian countryside in her simple pinafore with arms outstretched in wonderment. Of course, this opening musical interlude cost her dearly. She ruffled enough habits to be ousted from the abbey…indefinitely. I can relate to Maria’s clumsy days at the abbey. She was committed to her calling. But she often got, well, distracted – by singing…and stuff. Maria: I can’t seem to stop singing wherever I am. And what’s worse, I can’t seem to stop saying things – anything and everything I think and feel. Mother Abbess: Some people would call that honesty. Maria: Oh, but it’s terrible, Reverend Mother. What we find so endearing about Maria, even this many years later, is her honesty. She stood up to the Captain, did things her way and changed her destiny. I am pretty sure a handsome new millionaire husband and traveling family choir made failing at the nun-thing a little less devastating (once they escape Nazi-occupied Austria, of course). When life closed a door for me in the form of my job loss, I realized it was time to open a few windows. I may not always be as positive as Julie Andrews in, well, every scene of that movie. But that’s part of the whole honesty thing, right? We can learn a thing or two from her sweet stubborn optimism. We’ll just skip the dancing and go straight to opening those windows! I have been thinking and writing about nourishing the soul. One way I do this for myself is choosing uplifting entertainment. If someone would have suggested I choose uplifting entertainment while I was in my twenties, I would have rolled my eyes and accused them of living in a bubble. But my thoughts have changed on the subject. Maybe it’s the mom in me, or the fact that life has become stressful enough without watching movies that glorify violence, highlight terrible and hopeless situations and celebrate sociopaths. But I’m just tired of that. Sadly, many shows and movies are now built around protagonists who are villains, con-artists and sadists. I don’t mind realism, but I don’t want to watch people slowly unravel and find new ways to hurt those around them. That isn’t fun for me. Nor does it feel like entertainment. Win your own copy of this DVD! More and more, I crave messages about hope and redemption. The “Captive” movie, based on real events, satisfied my need for both. You may remember the story from news headlines when fugitive Brian Nichols held Atlanta resident, Ashley Smith, hostage. Fearing for her life, Ashley turned to Rick Warren’s The Purpose Driven Life for guidance. And that’s where the story took an unusual turn. “Captive” kept me on the edge of my seat. What I found most thematically interesting is that both the captor and captive have messy backstories–Nichols (Golden Globe Nominee David Oyelowo) with his criminal past and Ashley Smith (Kata Mara), a widow struggling to rebuild her life after a meth addiction. Instead of offering an US verses THEM approach, the movie reveals an unlikely yet complex kinship between the two individuals that reminds us we are all broken…and that there is hope for us all. 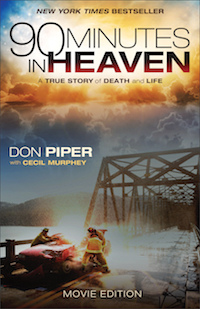 Lucky for you, I am giving away a DVD copy of this great movie for free. Enter HERE! Disclosure: Many thanks to Propeller Consulting LLC for providing this prize for the giveaway. Choice of winners and opinions are 100% my own and NOT influenced by monetary compensation. I did receive a sample of the product in exchange for this review and post.